Inquire by phone or by email by clicking here. 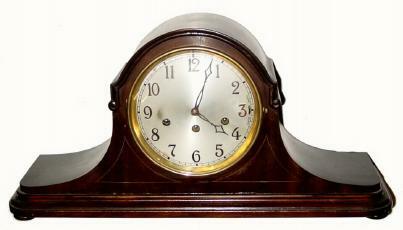 How much will it cost to repair my clock? How did you learn clock repair? By reading a book? Trial and error? An apprenticeship? Do you guarantee your work in writing? Are you a member of any professional organizations? Do they have Codes of Ethics, and do you subscribe to them? The best way to find out how much a repair costs is to ask. I don't charge for estimates, and often I can give a rough estimate over the phone or via email. So give me a call or drop me a note, and we'll take it from there! Sorry, though ... I no longer repair cuckoo clocks or 400-day "anniversary" clocks.